Part of Damansara Performing Arts (DPAC) Festival 2014, we were commissioned to produce a 45 minute performance which resulted in Main Wayang : Hikayat Sang Kancil. This performance tells the fictionalized tale of the folklore of Hikayat Sang Kancil combined with a few other local folklores. Presented in the form of a live investagative TV show, Main Wayang : Hikayat Sang Kancil utilizes several techniques like performance, music, puppeteering, video graphics, live camera and live drawing. The setup of show consists of 3 projection screens, the performance console with the audience seated in between the screens and the console. This allows the audience to witness the puppeteers, musician and sound effects perform live to enjoy the making-of a theatre production. Each screen serves a function; an interviewer screen, flashback screen and the final composite screen. The TV host performs in front of these screens moving from one screen to another, from interviewing various folklore puppet characters to reading tweets in real time. Main Wayang is an ongoing project to explore new ways in storytelling using media. Hyee jom lah buat MainWayang ke apa apa kat UTeM. Mesti best sangat. 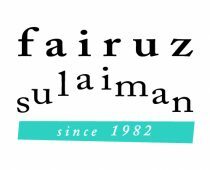 Peminat Fairuz Sulaiman ni.